The Bill initiated by the Legal Affairs Committee which will enable implementation of portable speed cameras passed the first reading in the Riigikogu today. 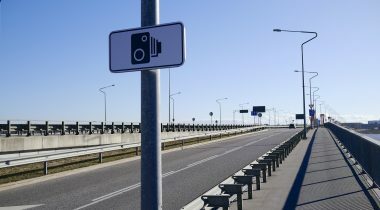 The explanatory memorandum to the Bill on Amendments to the Traffic Act (752 SE), initiated by the Legal Affairs Committee, notes that the provisions of the current regulation of speed cameras have not allowed for implementation of portable speed cameras so far. Although under the Traffic Act traffic supervision may be exercised with portable or fixed technical equipment, subsections of the same section in the Act provide for the possibility of using only fixed equipment in the case of the automatic traffic supervision system. At present, it is possible to use two speed measuring solutions out of three, that is, measuring with hand camera and measuring with fixed camera, in Estonia. The possibility of using mobile speed cameras will not change the current legal order, that is, the outcome will be the same for persons. However, the aim is to enable the persons exercising traffic supervision to influence a significantly greater number of people also in regions where it was impossible earlier. 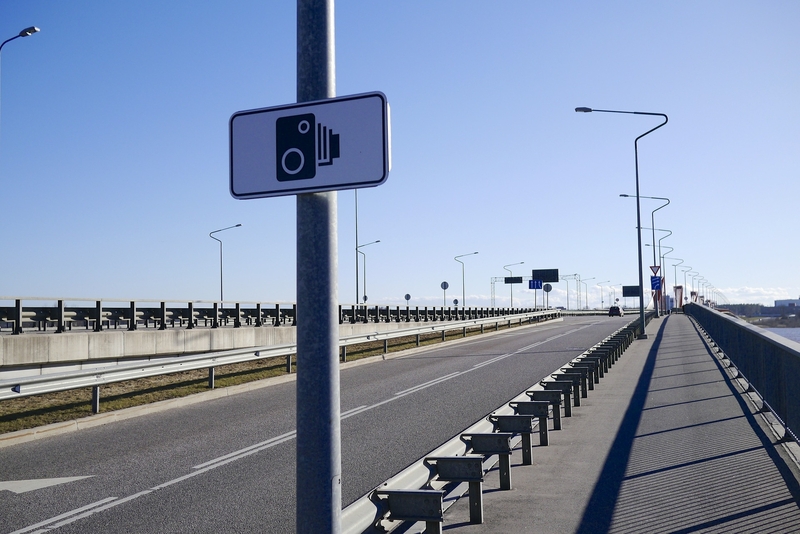 The aim of the installation of portable speed cameras is to calm traffic and thereby to reduce the number of accidents. Peeter Ernits took the floor during the debate. The aim of the Bill on Amendments to the Building Code (703 SE), initiated by members of the Riigikogu Tanel Talve, Toomas Väinaste, Märt Sults, Peeter Ernits, Tarmo Kruusimäe, Krista Aru, Jaanus Marrandi, Raivo Aeg, Marko Pomerants, Andres Metsoja, Urve Palo, Hannes Hanso, Külliki Kübarsepp, Valeri Korb, Toomas Paur, Hardi Volmer, Toomas Jürgenstein, Heljo Pikhof, Dmitri Dmitrijev, Erki Savisaar and Barbi Pilvre, is to speed up the availability of broadband service. When the Act enters into force, it will no longer be necessary to apply for a building permit to build a broadband network. It will be sufficient to submit a building notice to the local government, which is free of state fee. Also, the period of time provided for the processing of a building notice will be three times shorter compared to the processing of a permit. The Bill will extend the special regulation of the Act to the state border infrastructure in the possession of the area of government the Ministry of the Interior, including the construction of the border strip on the national defence land. The Bill will establish specifications of the application of the Act for the construction of the state border infrastructure. While the information concerning the construction regulated by the Act is generally public, all information concerning the construction work and the construction cannot be public in the case of the state border infrastructure. The Bill on Amendments to the Language Act (756 SE), initiated by members of the Riigikogu Priit Sibul, Hardi Volmer, Madis Milling, Tarmo Kruusimäe and Helir-Valdor Seeder, provides that, in the event of failure to comply with a precept, the upper limit for penalty payment imposed will be 5120 euro in the case of legal persons. The current upper limit of 640 euro for penalty payment will remain in force for natural persons. The explanatory memorandum notes that the Bill aims to improve compliance with the Language Act, to positively motivate the heads of agencies and undertakings, with a view to contributing more to the Estonian language studies of employees. The Bill would enable the Language Inspectorate to exercise supervision over compliance with the Language Act more effectively. During the debate, Heidy Purga (Reform Party), Krista Aru (Estonian Free Party) and Tarmo Kruusimäe (Isamaa) took the floor.